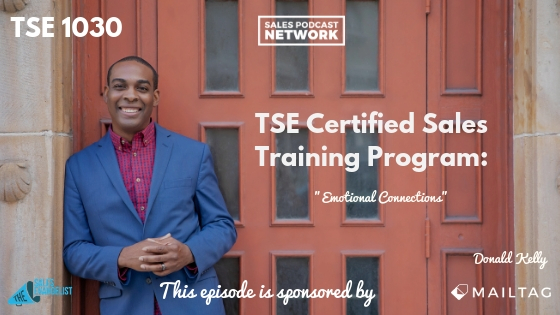 TSE Certified Sales Training Program - "Emotional Connections"
Emotional connections are an important part of life but sometimes sales professionals forget that those emotional experiences can help us make genuine connections with our prospects. In some cases, those emotional connections can help us close more deals. On Valentine’s Day, we’re sharing some ideas for ways that you can build emotional connections with your prospects. 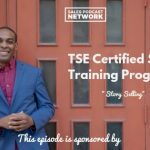 The TSE Certified Sales Training Program began as a result of my inexperience as a seller. I wasn’t a great sales rep, but I went through training that transformed me. I created TSE Hustler’s League, which was my own version of a sales training program. Since then, that program has evolved into the TSECSP. You can take the course alone or with a group to gain from group coaching. The new semester will begin in April. Salespeople often overlook the importance of connecting with buyers on an emotional level. At some point in your life, you were likely interested in someone but you were afraid of letting that person know. You might have even been rejected by that person. Imagine your buyers in that scenario. They encounter emotional experiences daily. They have problems and challenges daily that they need help solving. If you step into that role, you have an opportunity to create emotional connections. Think back to those clients you’ve successfully brought on board. Perhaps they were afraid of losing their jobs if they couldn’t solve a problem at work. Or afraid of losing track of invoices. Or unable to follow up on opportunities that came through their pipelines. They likely signed on with you because you were able to demonstrate to them how they could solve a problem. You created a connection by helping them. If you’re sending email as part of your prospecting process, are your subject lines boring? Your prospect doesn’t care about your webinar. He cares about his problem. He doesn’t care about your business or your product until you show him how it can help him. Tap into his struggles to help him care about your business. That may not be exactly his struggle, but if the rest of your ideal customers are struggling with this issue, it’s likely that Dave is, too. If Dave is, in fact, frustrated with this issue, he’ll likely click on your email. When he opens it, the first line will include his name, and will immediately tie back to that subject line. Once you’ve made an emotional connection with your buyer, you can offer the solution to his problem. Then, after you’ve explained the remedy you offer, you can invite him to join your masterclass or webinar. It’s possible that your prospect won’t respond to the first email because he’s busy, but you can grab his attention with email number two. When you demonstrate your understanding of his pain and his challenge, he’ll likely feel connected to you. Videos help you build emotional connections because the prospects can hear and see your emotion. Tools like BombBomb, Loom, Wistia, and Soapbox allow you to embed videos directly into your email so that your prospects have an opportunity to make a human connection. That 20- or 30-second video allows them to hear and see your emotions. You can share an experience you had in the past or a solution you’ve provided to a previous client. 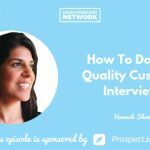 Sellers who do this well throughout the pipeline can tap deep into emotions. It’s one thing to tell a prospect that you can save him $50,000. It’s quite another to talk about the extra fees that a company is needlessly paying each month because of missed reports and missed opportunities. People lose their jobs over those kinds of issues, and VPs feel the pressure to fix those problems. When you can demonstrate how your company can prevent those people from losing their jobs over missed reports and missed opportunities, that $50,000 savings feels more personal. Build value in your stories and demonstrations. Tap into their frustrations. Reiterate their challenges and explain how you can help them tackle those challenges. Work to build emotional connections. This stuff works, which is why we share it here.